The fashion industry has consistently been one of the most progressive businesses in the world, brimming with constant talent coming from all walks of life the world over. Amidst the volume of aptitude within the industry, meet 30 women who managed to revolutionize, revitalize and create long-lasting impressions in the fashion world. From models to make-up artists to designers, these women were trailblazers in creating what we wear today and leaders in setting up the future for the next generation of fashion innovators. Heidi Klum first made her mark on the world of fashion as a super model with clients like Victoria Secret, and appearing on the cover of pop-culture mainstays like Sports Illustrated swimsuit issue. She moved into television as the host and executive producer of the innovative Emmy-nominated fashion reality hit, Project Runway. Klum didn’t stop there, she created Truly Scrumptious, a clothing line for kids, as well as designs for New Balance and numerous other clothing companies. 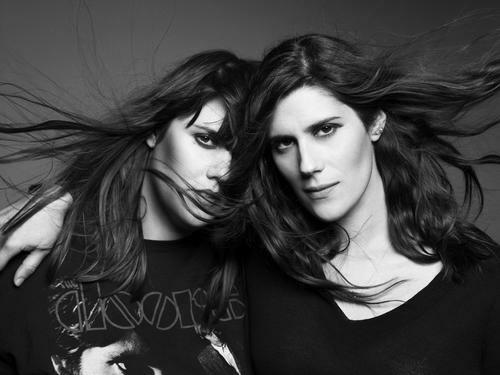 Sisters Kate and Laura Mulleavy are the designers behind the clothing line, Rodarte. The Mulleavys are known for their craftsmanship and personal designs and had no formal training when they dreamed up their first designs at their parents’ kitchen table. Today, Rodarte is available globally at more than 40 retailers, including Neiman Marcus and Nordstrom. Rodarte was awarded the CFDA Womenswear Designer of the Year Award in 2009 and the brand was named one of Fast Company’s 50 Designers Shaping The Future in October 2012. Tyra Banks is a supermodel who turned her runway success into a full on fashion empire. She broke boundaries in the industry as the first black woman to appear on the cover of Sports Illustrated swimsuit issue. In 2003, Banks created and hosted America’s Next Top Model, a television show that had up and coming models vie for a career-making prize package. 20 seasons later, the show continues to draw audiences and set the stage more several other fashion reality shows to enter the industry. 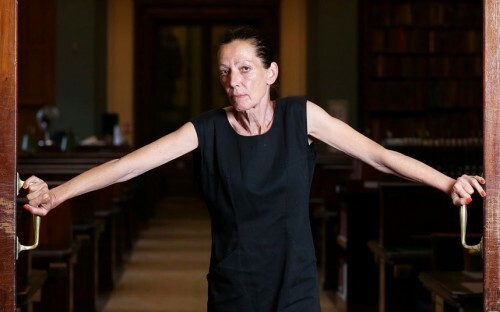 If you’ve ever worn a graphic T-shirt, you should learn the name Katharine Hamnett. What seems like an everyday throw on item was born the slogan T-shirt and pioneered by British activist Hamnett. Her oversized shirts with large block letters were adopted and worn by many bands including Queen. Graphic tees are now mainstream wear and Hamnett was appointed Commander of the Order of the British Empire (CBE) in the 2011 New Year Honours, for services to the fashion industry. 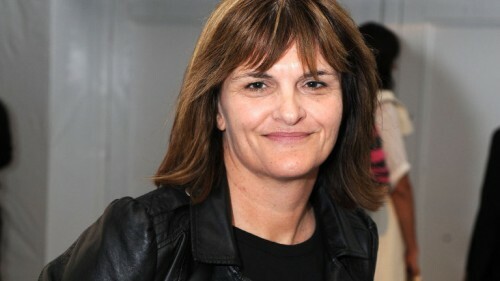 Fashion journalist Cathy Horyn was The New York Times’ much-respected chief fashion critic of 15 years. Though sometimes controversial, Horyn was known for her quick-witted columns, fashion reporting and at times stinging reviews. She put her support behind multiple young designers and held to her own opinions even when they counteracted popular belief. Horyn has published a series of fashion books and contributed to multiple magazines such as Vanity Fair, and collaborated with publications such as Harper’s Bazaar, Vogue and The International Herald Tribune. 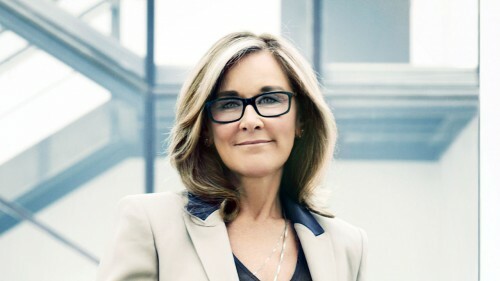 Although Angela Ahrendts is now a senior vice president of retail and online stores at Apple, she started out as a powerhouse in fashion. Ahrendts is credited with taking Burberry from an ailing fashion house to a revived luxury brand, and tripling its revenues. From Donna Karan to Henri Bendel to Liz Claiborne, Ahrendts has had a hand in some of the most prominent and successful brands in the industry. 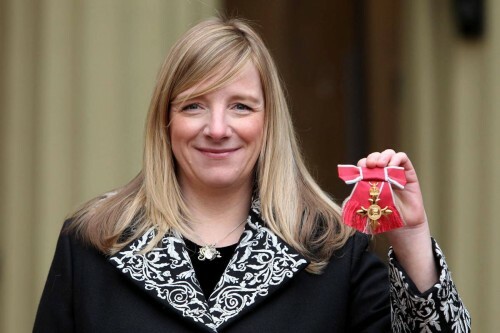 She was awarded The Most Excellent Order of the British Empire, a DBE for her services to British business. Sarah Burton is the creative director of famous British label Alexander McQueen, which she took over in 2010 after McQueen’s death. Burton managed to preserve the designer’s legacy but still add her own flare that gained her a prominent seat in the fashion industry. Burton went on to dress Kate Middleton, Duchess of Cambridge for the royal wedding. Burton received The Most Excellent Order of the British Empire for her services to the fashion industry in late 2012. Tamara Mellon is the cofounder and former president of shoe giant Jimmy Choo. With over 100 shops in 32 countries, Jimmy Choo’s impact on fashion footwear is as undeniable as Mellon’s business smarts. Starting out as an accessories editor at Vogue, before opening the first store in 1996. Mellon sold Jimmy Choo to luxury brand Labelux in 2011 and started an eponymous brand including clothing, bags and shoes. Rosalia Mera is the late co-founder of retail giant Zara. 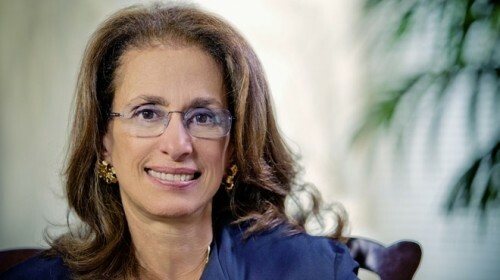 At the time of her death Spain’s richest woman and the world’s richest self-made woman, Mera started humbly, dropping out of school at 11 to work as a seamstress. She and Amancio Ortega launched clothing manufacturing company Inditex and opened the first Zara store in Spain in 1975. In addition to its designs, Zara transformed the apparel industry by introducing mass-market variations of new designs from the major fashion houses within weeks of shows. 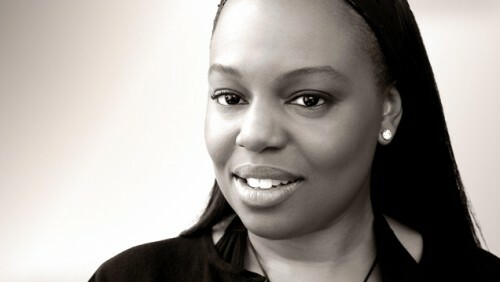 The world of fashion would not be the same without the mesmerizing make-up of Pat McGrath. 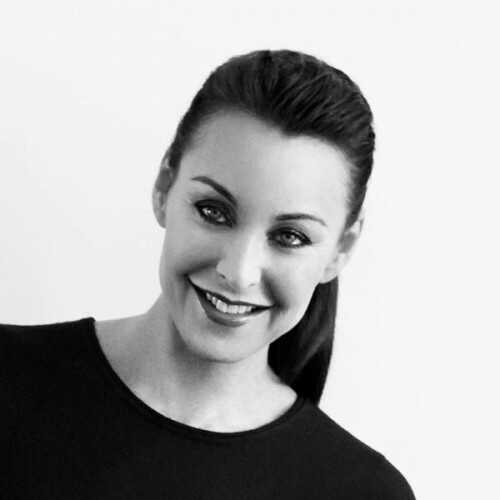 Although McGrath had no formal training, she rose quickly to be known as a top make-up artist and serves as creative design director of Procter & Gamble beauty. Recognized for her innovative and adventurous techniques, her looks are highly favored among top designers like Louis Vuitton, Prada and Lanvin, and grace over 25 catwalks every season. McGrath was awarded Member of the Order of the British Empire, for services to the fashion and beauty industry in 2013. Although her name is synonymous with music, Jessica Simpson is one of the most powerful women in fashion. In an industry where most celebrity lines don’t make the grade, Simpson’s eponymous brand, which started with shoes, has been wildly successful. Born out of a desire to reach the every-day woman, the Jessica Simpson Collection has grown to house over 30 product categories and earns over $1 billion annually, often outselling most runway designers several times over. Franca Sozzani is the editor-in-chief of Vogue Italia and has been since 1988. Sozzani is known for helping to create the idea of a supermodel, and diversifying the magazine. In her time at Vogue Italia, Sozzani oversaw “The Black Issue” celebrating black women, a “makeover” issue dedicated to plastic surgery and introducing plus size models to the magazine and website. Sozzani is also an author of books on photography, fashion, art and design and is a United Nations Goodwill ambassador. 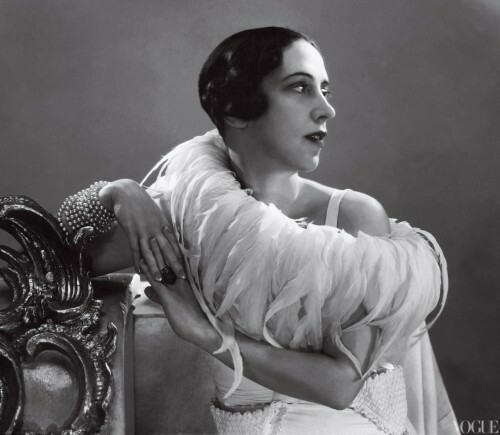 Madame Jeanne Lanvin is the founder of the oldest but still one of the most relevant French fashion houses. She opened her first boutique in Paris in 1889 and is credited with making women’s fashion more youthful. She was also a thought leader for the concept of personal style and breaking away from the strict guidelines of women’s dress that dominated the time. Famous actresses of the day like actresses Marlene Dietrich and Mary Pickford sported Lanvin’s designs as do the most well known starlets of Hollywood today. Sara Blakely changed the way women wear their clothes in a very innovative way. Blakely is the founder of Spanx, a line of shaping undergarments. Blakely took what started out as one product and transformed it into a mluti-million dollar business. Blakely’s product, still popular today, sold over 8,000 pairs in the first six minutes on home shopping channel QVC. As of 2014, Forbes listed Blakely as the 94th most powerful woman in the world. 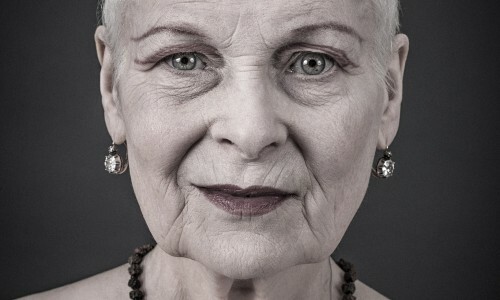 Dame Vivienne Westwood is a fashion legend and rightfully so. “Cutting edge and classic” is how fashion magazine, Vogue, describes Westwood’s aesthetic which was first present in a catwalk show in 1981. Outspoken and unapologetic, Westwood was inspired by the punk movement. She was awarded the Order of the British Empire in 2006 for her contribution to fashion. A 2011 Greenall poll named her Britain’s Greatest British Fashion Designer, which she helped to validate with two British Designer of the Year awards. Betsey Johnson did not originally aspire to be a fashion designer, but instead a dancer. After graduating from Syracuse University, Johnson took on the fashion world first starting at Mademoiselle as a guest editor before moving on to designing. After 10 years of designing for others, Johnson founded the now incredibly popular eponymous label, which is known for its unique, fun and quirky designs. Johnson was awarded the Timeless Talent Award by the Council of Fashion Designers of America. Best known for bringing fashion to the bridal industry through her sophisticated bridal collections, designer Vera Wang has dressed celebrities like Chelsea Clinton and Hilary Duff. 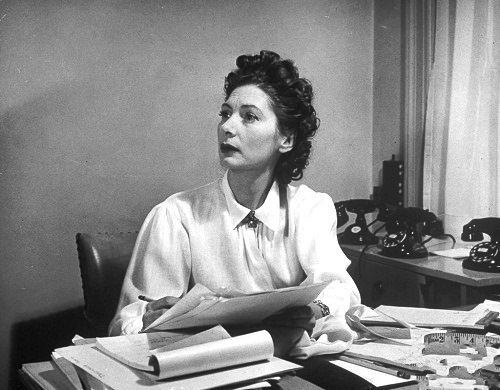 Before that, at only 23, she was the youngest fashion editor at Vogue, a company she stayed with for over 16 years. Born in New York to Chinese-American parents, she has expanded her brand name through her shoe, fragrance, jewelry, eyewear and house ware collections and authored a book in 2001. British fashion designer Stella McCartney made a name for herself in fashion despite having two famous musicians for parents. Making her own clothes by the time she was 13, McCartney became renowned for her sharp, simple tailoring and dedication to making clothes that looked good in real life, not just on the runway. McCartney also incorporates her animal rights beliefs into her designs, swapping fur and leather for plastic and fabric. Valentina, who was one of the first designers to become known by her first name only, came to New York from Russia in 1923. Valentina wore her own designs consisting of elegant, formfitting long-sleeved gowns, in contrast to the short, waist-less flapper dresses of the time. She established Valentina Gowns in 1928 and attracted high-profile clients like Greta Garbo. She also designed for theatre and actresses like Katherine Hepburn in the stage play, The Philadelphia Story which led to her recognition as one of the top U.S. couturiers and theatre costume designers. Venezuelan-American designer Carolina Herrera known for her ladylike, refined style. The socialite tested the fashion waters in 1980 with a small collection of dresses made by her seamstress in Caracas and by 1981 presented her full collection. In addition to being a socialite whose fashion influenced women around the world, she proved herself as a designer dressing first ladies from Jacqueline Onassis to Michelle Obama. In 2008, she was awarded the Geoffrey Beene Lifetime Achievement Award by the Council of Fashion Designers of America. 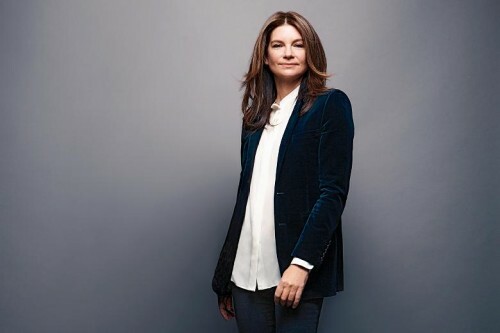 Natalie Massenet changed the way designer fashion was retailed with her designer fashion portal Net-a-Porter, a website in magazine format for selling fashion. What started off as a low-key business with boxes stacked in Massenet’s bathroom in 2000, grew to an operation employing over 2,300 in 2013. In that same year Massenet took over the British Fashion Council and was named Woman of the Year by US Glamour magazine. In 2014, she was named as one of the 100 most influential people by Time. 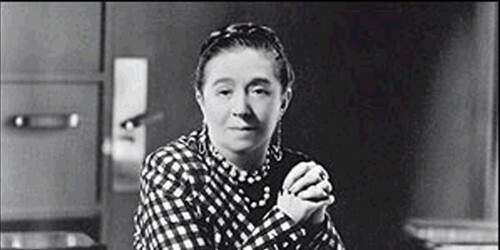 Born in Italy, Elsa Schiaparelli moved to Paris and begun her career as a designer after working in New York, soon to be one of the most influential designers in the world. Her clothing defined the fashion of the ‘20s and ‘30s and she dressed the stars of the day. She infused art into her clothing design and was rivals with contemporary Chanel. New York’s Metropolitan Museum of Art featured her work in an exhibit in 2012. Born into a family of designers, Donatella Versace became creative director of the Versace group after her brother Gianni Versace’s death in 1997. Known for her fun and often wild personality, Versace uniquely used her celebrity friends to become to face of Versace and rebuilding the brand and catapulting it to success. Versace was able to come out from her brother’s shadow and triumph on the runway, designing pieces that are still often worn by celebrities. Donna Karan is highly regarded as one of the most influential fashion designers in the world. Karan started in a summer job for Anne Klein was soon named an associate designer. She left Anne Klein and debuted her own line in 1985, following it up with DKNY, a more affordable fashion line. Karan is known for designing modern clothes for modern people, and bringing chic high-end style mainstream. Karan was the 2004 recipient of the Lifetime Achievement Award from the Council of Fashion Designers of America. Diane Von Fürstenberg’s name is synonymous with her iconic wrap dress, which transformed American women’s fashion with its versatility and elegance. The designer began her career in 1970 and shortly after was added to the calendar for New York Fashion Week. She was heralded as “the most marketable female in fashion since Coco Chanel.” As of 2014, Forbes lists her as the 68th most powerful woman in the world. She has been the president of the President of the Council of Fashion Designers of America since 2006. Anna Wintour is the editor-in-chief of American Vogue since 1988 and arguably one of the most powerful voices in fashion today. Wintour started out in the fashion department of Harper’s & Queen in London and rose up the editorial ladder at several magazines including becoming fashion editor at Harper’s Bazaar. Wintour’s eye for trends and encouragement of young designers and artists are as well-known as her reputation for being a tough leader with a chilly demeanor. 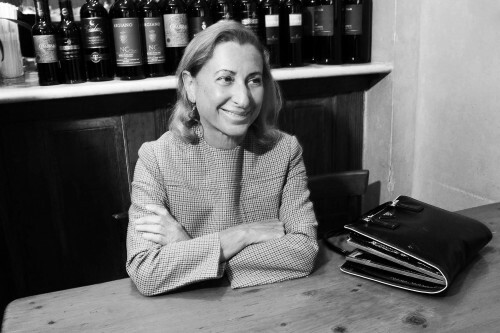 Miuccia Prada is the Italian fashion designer behind Miu Miu and Prada. Prada started out with her first handbag design in 1985 and its simple, chic and functional design launched a massive worldwide craze that established Prada. By 1989 she released her first line of clothing and followed it with Miu Miu, a more affordable brand modeled after her personal style, in 1992. Armed with a doctorate in Political Science, Forbes listed her as the 75th most powerful woman in the world in 2014. 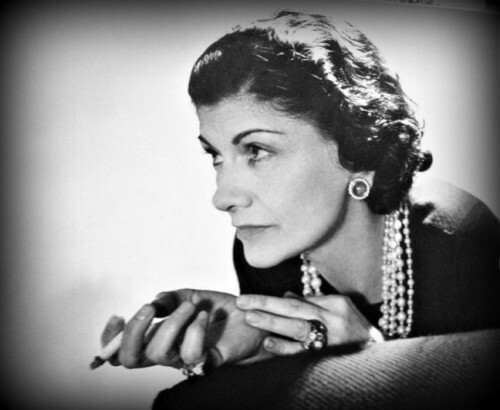 Fashion designer Coco Chanel changed the way women dressed by freeing them with her choice of cuts and fabrics. She also infused menswear for women with her chic suits, creating a trend that continues to be popular today. Her empire soon spawned a still-popular fragrance, Chanel No. 5 and the little black dress in 1926, which made her an international sensation then and now, more than a century later. Her numerous contributions to numerous areas of the fashion industry allowed her to be the only fashion designer listed on Time magazine’s list of the 100 most influential people of the 20th century. 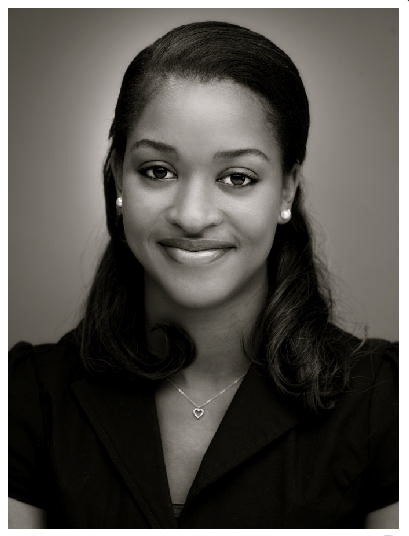 Raecine Williams received her Bachelor’s from the University of Miami and is currently pursuing her Master’s in Journalism at the University of Maryland College Park. She writes for the Prince George’s Sentinel and Nirvana Magazine and has worked in various capacities in her native island of Jamaica. In her spare time she runs a clothing line called Wild/Free and loves to travel.